LEXINGTON, Ky. (June 28, 2013) — On July 1, the University of Kentucky College of Agriculture will become the College of Agriculture, Food and Environment. The new name better communicates the broad depth and evolving scope of the college’s degrees and programs. The change incorporates the college’s expanded role that occurred nearly a decade ago with the merger of the College of Human Environmental Sciences into the College of Agriculture and also responds to new needs and opportunities. Research, teaching and outreach programs within the college encompass farms, forests, food, fiber, families and communities. "While we continue our fundamental ties to production agriculture, we have expanded to include all the pervasive and essential enterprises based on renewable natural resources," said Scott Smith, dean of the College of Agriculture, Food and Environment. "We are aligned with the wider and more diverse interests of those we serve, including a new and rapidly growing population of undergraduate students. And across Kentucky, many now see agriculture to include not only farming, but also agribusinesses, and the full reach of food systems from local to global." 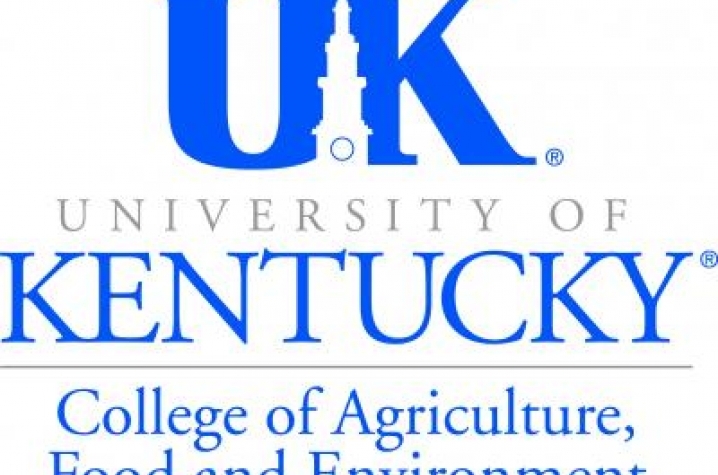 Agriculture, food and environmental systems are key components of Kentucky’s economic future, and the college is playing a prominent role in those areas with its programs, Smith said. Home to 14 academic units offering 27 academic programs, the college had more than 2,500 students, and 476 students received bachelor degrees in the 2012-13 academic year. Since 1865, the college has been committed to improving the quality of life for Kentuckians. It has carried out its federal land-grant mission, signed into law by former President Abraham Lincoln, by developing cutting-edge research through its Kentucky Agricultural Experiment Station and by providing research-based information to residents in all 120 counties through local offices of the Cooperative Extension Service. Each year, more than 3,300 plant samples are processed at the Plant Disease Diagnostic Labs; 60,000 cases a year are completed at the Veterinary Diagnostic Laboratory; 61,000 soil analyses are completed at Regulatory Services; and more than 4 million people engage in a Cooperative Extension Service activity. "We did not select the new name with the acronym in mind, yet we recognized that we may become known by our initials as CAFÉ," Smith said. "If so, we embrace many of the qualities that suggests: service, the indoor and outdoor human environment, good fare and a community atmosphere. Perhaps CAFE will even conjure up the image of a variety of excellent selections for our employees, students and constituents around the Commonwealth-- a great menu of opportunities." The name change was approved in December 2012 by the UK Board of Trustees after first being approved by the college’s faculty and staff and endorsed by the University Senate. More information about the college and the programs it offers can be found at http://www.ca.uky.edu/ or contact the local extension office. A list of county office locations can be found at http://www.ca.uky.edu/county.